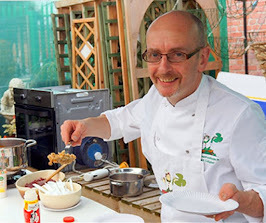 Ireland's most northerly food company, Inishowen Country Kitchen has carried away the prestigious Donegal Business of the Year Award at the 2012 Enterprising Donegal Business Awards, held on Friday evening in the Silver Tassie Hotel, Letterkenny. Owner Joseph Doherty, who took over the business in 2009, also won the Business Achievement Award category. 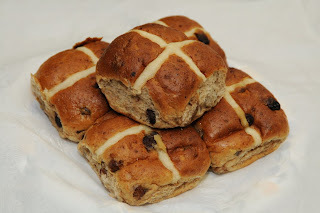 The company which employs 25 people in Drumcarbit, Malin produces salads, garlic breads, desserts, trifles and prepared vegetables for retailers throughout Ireland including major multiples such as Tesco. 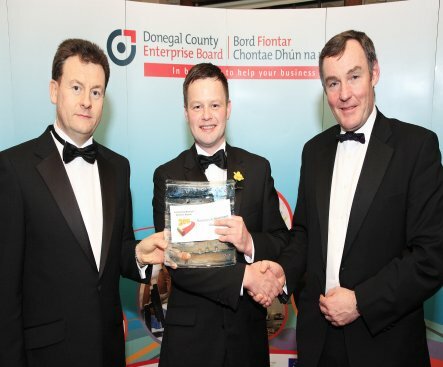 Ian Ireland, CEO of Donegal Creameries, and Seamus Neely, Chairman of Donegal County Enterprise Board, presented the awards during the black-tie dinner event which attracted a huge turnout from the local business community. service and our customers have been our best sales staff. 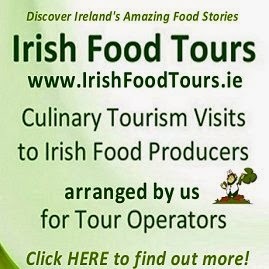 I'd also like to thank my family whose own connection to the food industry has helped greatly and finally Michael Tunney, Ursula Donnelly and Danny McEleney of Donegal County Enterprise Board for their great support over the past 3 years." This year's Emerging Business Award also went to an Inishowen food company, Claire the Bakers, owned by Claire Doherty and her husband Aaron Gallagher. Other winners included Michael and Helen Masterson of Moll Industries Ireland , Donegal Town who won the Business Development Award. This year's Innovation Award went to Stephen McGinley for his FarmFeeder (YouTube Link) system and a special award for Community Enterprise was awarded to the Castlefinn Partnership Initiative (CPI) organisers of the North West Garden Show. 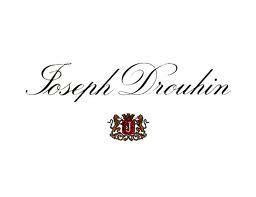 and this company goes on to represent Donegal at the National Enterprise Awards in Dublin. Previous winners of Business of the Year award have included Swilly Group, Gartan Technologies and DS Environmental Services. The Ulster Regional Final For The Restaurant Awards 2012 sponsored By Santa Rita / Sunday Independent Life Magazine took Place In The Merchant Hotel, Belfast Tuesday 27th March 2012. 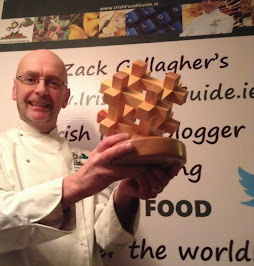 All County winners will now compete for the Regional and All Ireland Title which will be announced at the Irish Restaurant Awards in the Burlington Hotel Dublin on Wednesday 14th May 2012 2. www.irishrestaurantawards.com . 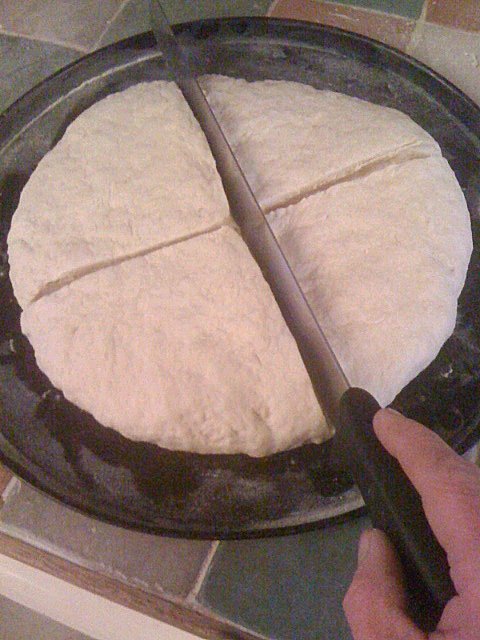 There are 3 components to phase two of the process. Each element is independently assessed by KPMG. 1. Mystery Guest Visit (35%) This component of the awards is conducted by Prism Consulting headed by Hugo Arnold, independent food writer and consultant. (http://www.hugoarnold.com). 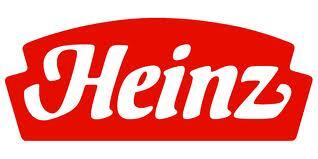 All County Winners receive a mystery guest visit throughout the month of April. 2. National Awards Academy (55%) Our National Awards Academy is made up representatives from each of the regional judging panels and will meet in May to Judge the County Winners. Adrian Cummins, Chief Executive, www.RAI.ie - 086 8263311. 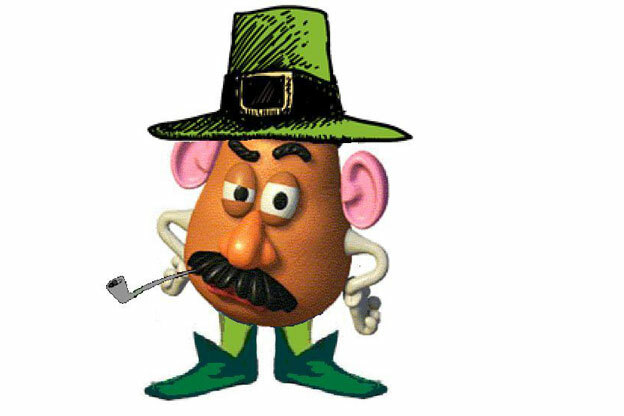 Win some Keogh's Farm Shamrock-Flavoured Potato Crisps! 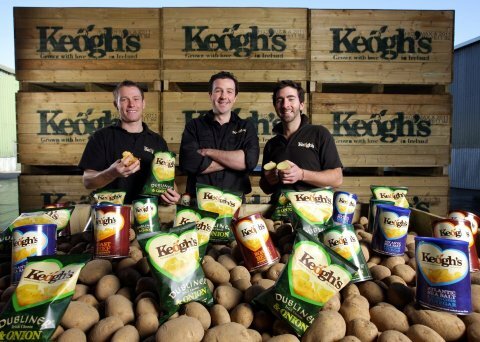 Keogh’s, the entrepreneurial Irish farmers who have been growing potatoes in north county Dublin for over 200 years, have launched the world’s first-ever commercial shamrock flavoured food delight. Keogh’s have just launched their hand cooked Shamrock and Sour Cream Irish potato crisps to celebrate St Patrick’s Day. here at the bottom of this Blog Post! The crisps have a slight Lemon/Peppery taste almost like freshly picked watercress which is expected as Shamrocks are related to that plant family. 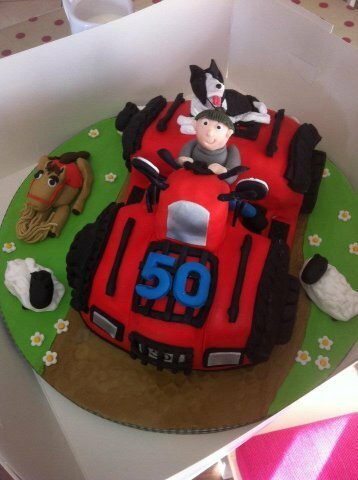 This simple idea may turn out to be a bigger internationally-selling product than the family realised! 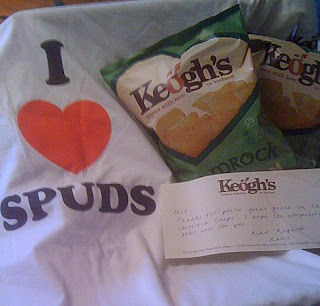 Demand from abroad is high, ahead of St Patrick’s Day, due to the unique Irish nature of the Keogh’s Shamrock and Sour Cream potato crisps. The crew love checking the quality at Keogh's Crisp factory! “We are the only potato growers in the world who offer fresh potatoes and potato crisps from the same farm side by side in the same store and we sleep, eat, breathe potato crisps and potatoes. The idea for a Shamrock crisp came from our absolute pride in being Irish farmers and a constant need to be innovative in our offering, we are very excited about them and already have interest from abroad” commented Tom Keogh, Keogh’s Farm. 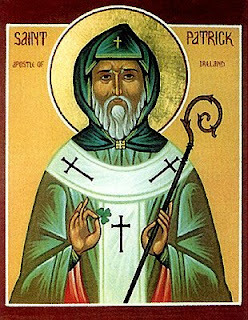 According to Irish legend, the druids in Ireland looked at the shamrock as a sacred plant because its leaves formed a triad. Three was a mystical number in the Celtic religion. Then St Patrick, who was thought to be born in Wales, used the shamrock in the 5th century to teach people about Christianity as he travelled around Ireland. He told people that each of the three leaves illustrated the Father, the Son and the Holy Spirit of the Holy Trinity. The Shamrock & Sour Cream Crisps have been specially launched for St Patrick's Day! 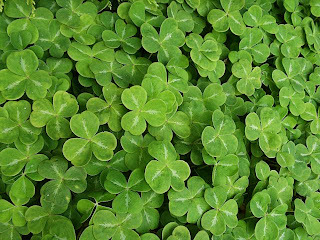 The Shamrock come from Living Shamrock in Ballinskelligs, Co. Kerry. 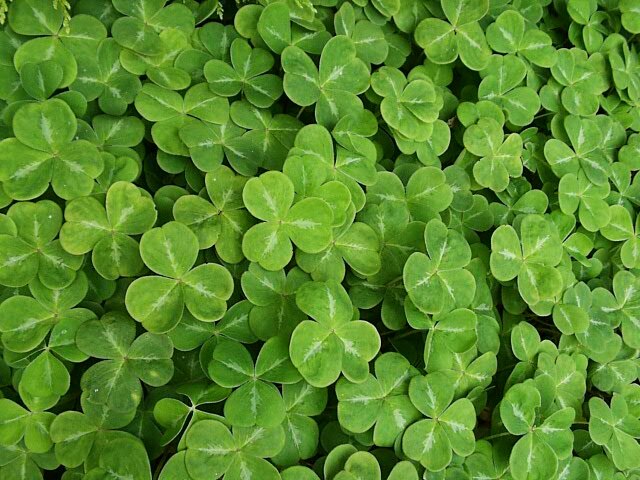 This area in Ireland has been producing fresh shamrock for the American President since 1952! 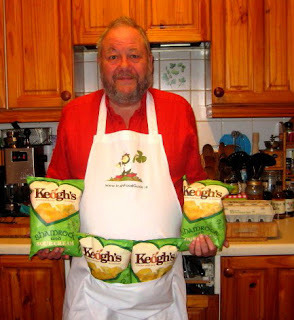 Keogh’s are the only “on-farm” producers of hand cooked potato crisps in Ireland, having recently set up a small ‘crisping house’ on their farm, hand cooking crisps in small batches and turning them from “crop to crisp” on the same day. 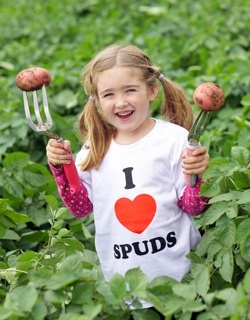 Keogh’s have been growing potatoes in north county Dublin for many generations and these Irish farmers really know how to grow a spud with love. 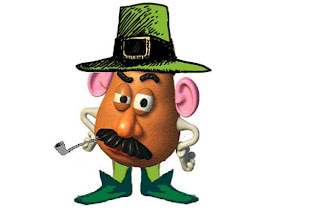 Keogh’s Shamrock and Sour Cream flavour potato crisp is available in a large sharing bag for €2.49. We have a Keogh's Farm St Patrick's Day Foodie Bag for one lucky reader - which will include an I Love Spuds T-Shirt, an Easy Spud pod and some bags Keogh’s Shamrock and Sour Cream crisps! To win this unique prize simply leave a comment here at the bottom of this post. 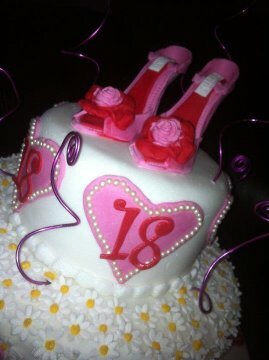 The competition will run until Wednesday 14th March. 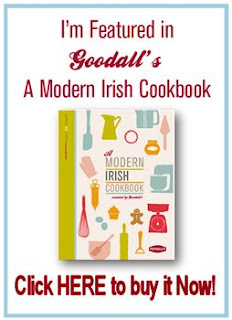 You must leave an email contact to enter the competition so we can contact you if you win! 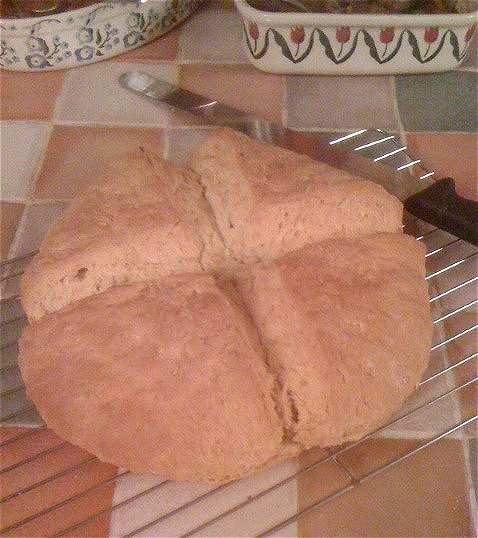 And Bill just sent us this lovely pic from Wales!